So Sucker Punch (2011) director Zack Snyder is rebooting the Superman franchise and was promising a new look for the hero only to bring back General Zod as the villain? I suppose it's better than another Lex Luthor punch-up. Still, with the next Batman film going back to the story of Ra's al Ghul from Batman Begins (2005), is there anything original planned for these two famous DC Comics heroes? 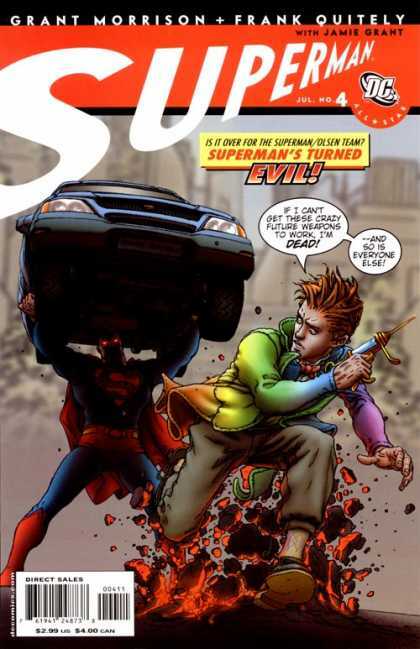 There are more ideas in that wonderful Frank Quitely cover than in what I've heard about the next Superman film so far.